Dark Star Orchestra re-creates Grateful Dead shows with a flashback-inducing meticulousness. Performing to critical acclaim for over 20 years, Dark Star Orchestra continues the Grateful Dead concert experience. By recreating set lists from the past, and by developing their own sets of Dead songs, Dark Star Orchestra offers a continually evolving artistic outlet within this musical canon. This allows fans both young and old to share in the experience. It's about a sense of familiarity. It's about a feeling that grabs listeners and takes over. It's about that contagious energy... in short, it's about the complete experience and consistent quality show that the fan receives when attending a Dark Star Orchestra show. Dark Star Orchestra has performed throughout the entire United States, plus Europe & the Caribbean touching down in seven different countries. In addition to appearing at some of the nation’s top festival (Bonnaroo, All Good Festival, Gathering of the Vibes, Mountain Jam, and many more), Dark Star Orchestra hosts its own annual music festival and campaign gathering, titled the ‘Dark Star Jubilee’, currently in its sixth year. For her latest album, Angelique Kidjo, one of the most electrifying performers in the pop world today, has re-imagined Talking Heads’ 1980 breakthrough album, Remain in Light. 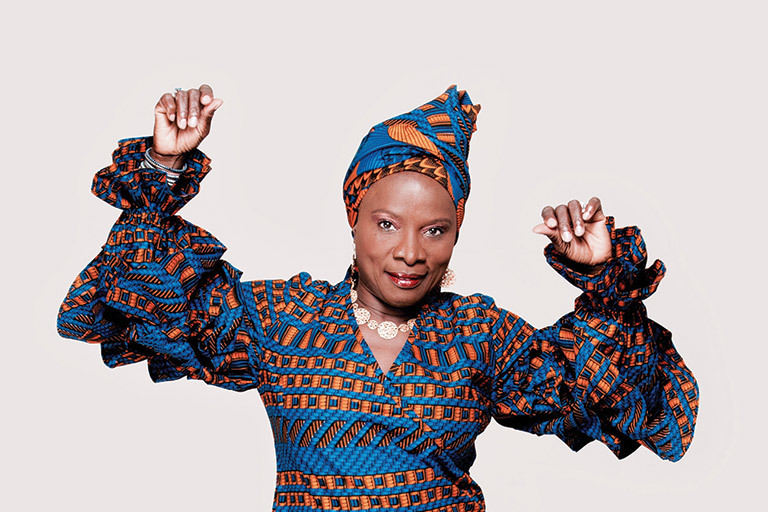 Kidjo has enhanced the originals with more direct connections to the guitars and horns of African pop, imbued with the soul and annunciatory power of her remarkable voice.